← The Earles Host the Saltwater Shuffle CLUB Annual Meeting. Earl Ball Reports on the CD Mingles/Singles Hosted by Betmar!! 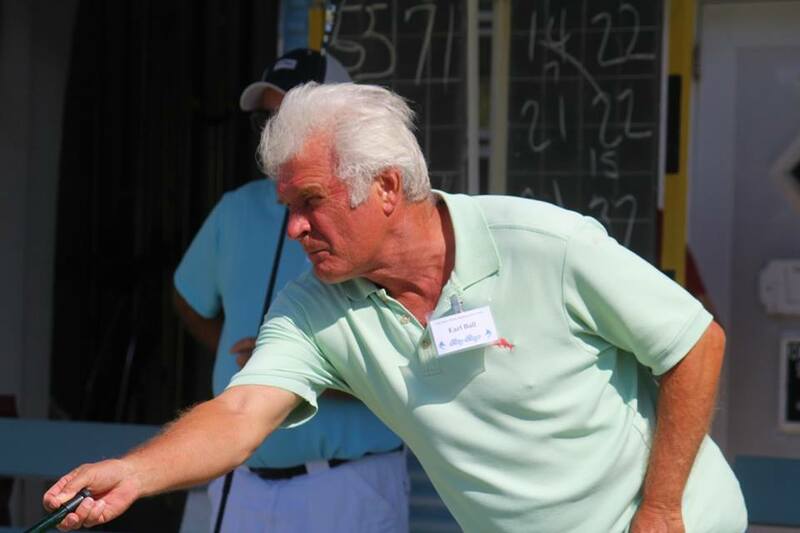 Amateur, Neil Slingerland of the Zephyrhills Shuffleboard Club won his 1st Championship of any kind. He won 5 of 6 matches and they weren’t even close. 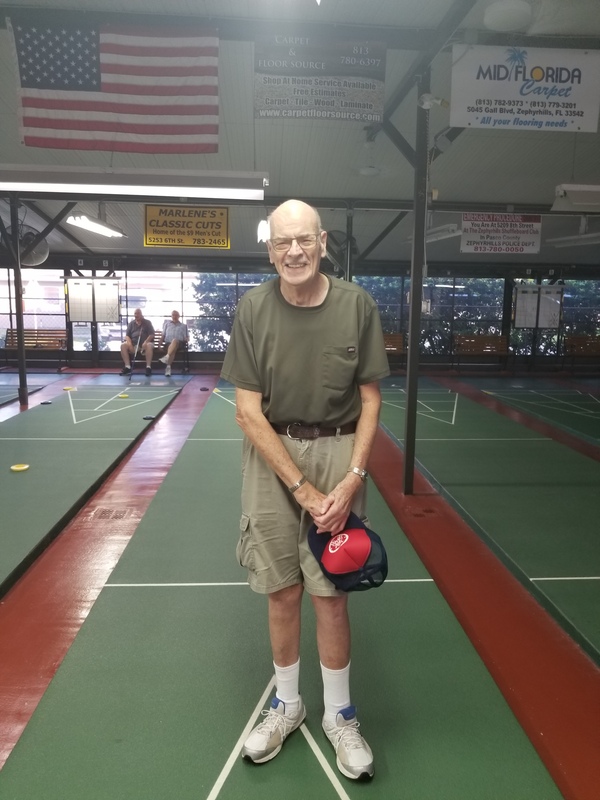 The Tournament was played at Betmar and Earl Ball swept the Pro Division; his 2nd sweep in a row and the 5th match was quite a comeback with Earl scoring the last 31 points including a kitchen to tie the game in the next to last frame and winning it with his hammer in the last frame of the game for the Championship. Reported by Earl Ball With THANKS!!! 2018 08 28. 1 Response to Earl Ball Reports on the CD Mingles/Singles Hosted by Betmar!! Earl’s grip on his cue is interesting.